With Easter coming up I get a bit of a breath and a chance to lift my head from the books. Though if you follow my instagram I do craft a little at the moment but it's generally something I can grab and go with.Often just some colouring or a little knitting or crochet project. I still have a test coming up tomorrow and an assignment due in 2 weeks. Anyway the point of this post is actually to talk about my new patterns. One of the things I started doing again is designing. I can carry a little grid pad around with me and have fun making up new characters. I have FOUR new animal characters available on my etsy store. Bringing it to a total of 9 animals available. So without further ado... meet my new characters. I have also simplified and straightened my patterns in this series. I have already updated the bunny and chick pattern (if you have bought this from me at any point please get in contact with me and I'll send you the updated version) and I will get the kangaroo, koala and bear updated in the next day. 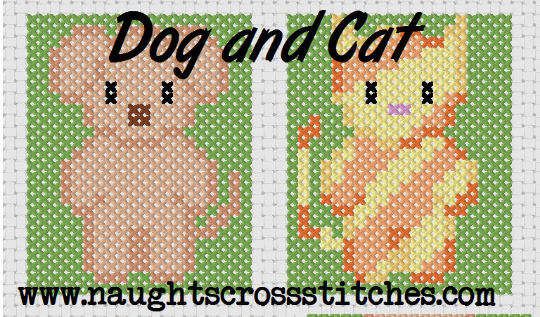 All patterns will now come with a background, but you can choose not to stitch that on your cross stitch. I just wanted to make it easier to use these pattern in other ways. 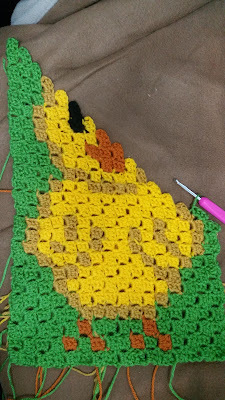 As you can see below in my not quite finished Chick they really do look awesome in c2c crochet. I think I'm going to turn this one into a pillow as it was a bit of a tester and it's not wide enough to match with all the patterns. So please if you've bought any of the characters from my animal series get in contact with me and I'll send you the updated patterns if you aren't able to download a new version from etsy. 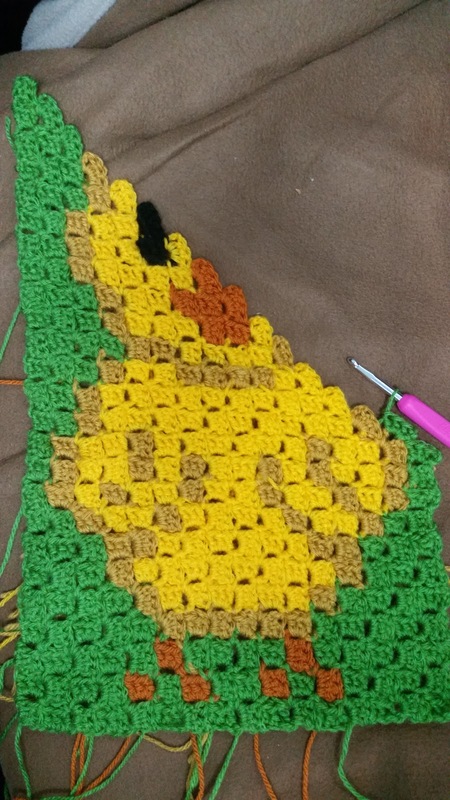 Your crochet chick looks amazing! 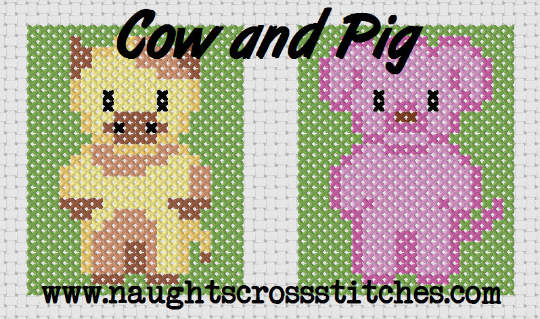 What cute animals you are crocheting! I love the chick and look forward to seeing her finished!